Rotating categories in some cash-back credit cards can seem like you're playing a game of roulette. One month you’ll be at the movies flicking kernels of popcorn into your mouth with a smile on your face knowing you’re getting 5% back on purchases at the theater, but next month it's only at home improvement stores you can earn those cash-back incentives. What are you going to do at a home improvement store? You can barely handle unclogging the toilet. With the Capital One® Quicksilver® Cash Rewards Credit Card it doesn't matter where your purchases take you. You automatically earn 1.5% cash back on all your purchases, anywhere. And that cash back won't expire for the life of the account. That means you're good for milking some cash back from the movie theaters and, if you’re feeling brave enough, the home improvement store as well. A consistent 1.5% cash back on all your purchases. Receive a $150 bonus after spending $500 within your first three months. An intro APR offer for 15 months – you won't pay interest on purchases or balance transfers for the first 15 months (16.24% - 26.24% (Variable) after that). Complimentary concierge service, ready to help you around the clock. Intro perks are good: $150 bonus after you spend $500 on purchases within the first three months and a 0% intro APR on purchases and balance transfers for 15 months (then, 16.24% - 26.24% (Variable)). If you're a relatively light credit card user, this is a great card since you won't have to worry about rotating categories – and the 1.5% cash back on every purchase can really add up. Visa Signature® benefits afford you a number of amenities such as 24/7 concierge assistance, travel upgrades and extended warranty on purchases. This card is best for people who value simple rewards earning over maximum rewards earning. If you're willing to keep up with some categories or spending caps, you can earn much more with a card that offers bonus rewards for certain purchases. The Capital One® Quicksilver® Cash Rewards Credit Card is good for earning consistent 1.5% cash back without registering for quarterly promotions, which means it’s also your best bet if your purchasing habits don't fall into predictable patterns. Because Capital One has reserved this version of its credit card for those with excellent credit, the bank can afford to load this account up with special benefits that stack up nicely against cards with annual fees and higher APRs. The Capital One® Quicksilver® Cash Rewards Credit Card gives you a full slate of member privileges, such as complimentary around the clock concierge assistance, extended warranty protection on your purchases and travel upgrades as part of your Visa Signature® benefits. Many banks charge a premium annual fee for access to perks like these, and you'd easily pay hundreds of dollars a month for a virtual assistant who can help handle your travel requests. It's also worth noting that the Capital One® Quicksilver® Cash Rewards Credit Card, as with all Capital One offerings, charges no foreign-transaction fees on purchases made outside of the U.S., so feel free to take this card with you on your next adventure abroad. You’re also protected with fraud coverage and security alerts. While the Capital One® Quicksilver® Cash Rewards Credit Card is a no-gimmick card with a straight-and-to-the-point cash-back rewards structure, you can earn quite a bit more cash back with cards that offer rewards in rotating categories of up to 5%. You might be someone who does shop a lot at home improvement stores, does a lot of grocery shopping or fills up on gas frequently, so a card that rewards those purchases at a higher rate could certainly benefit you. The intro APR offer is nice, but there are longer periods out there, so if you need a lengthy balance transfer offer or have a big purchase on the horizon you might want to look for another card with a longer intro period. Both cards come with no annual fee and intro APR offers for 15 months (then, 17.24 - 25.99% Variable for Chase Freedom®). But Chase Freedom will charge you 3% per transaction if you use the card while abroad. Still, Chase Freedom® has an identical introductory cash bonus of $150 after you spend $500 during your first three months of opening an account. Where the meat of the comparison falls is in each card's rewards. Chase Freedom® is a rotating-categories cash-back card that offers 5% cash back on up to $1,500 in purchases made in quarterly categories for which you must sign up. Once you reach that spending cap of $1,500, the cash back drops to a flat 1%, below the everyday earning rate of 1.5% with the Capital One® Quicksilver® Cash Rewards Credit Card. In the short term, you could reap higher rewards with Chase Freedom® if you're organized enough to spend in the rotating categories, but, if simplicity is what you value and you aren't willing to spend only in the bonus categories, the flat-rate Capital One® Quicksilver® Cash Rewards Credit Card is likely a better bet. 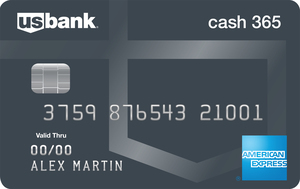 Unlike the aforementioned Chase Freedom®, the Blue Cash Preferred® Card from American Express (See Rates and Fees) is a tiered-rate rewards card that gives cardholders the chance to earn 6% cash back at U.S. supermarkets (on up to $6,000 spent annually), 3% cash back at U.S. gas stations and 1% on everything else (American Express is a CardRatings advertiser). That means that, if you spend in those categories, you stand to earn a lot of cash back with this card. That said, you don't want to spend too much in the grocery category – once you hit a $6,000 cap annually your rate falls to 1% cash back on every purchase. That means the Capital One® Quicksilver® Cash Rewards Credit Card offers higher cash back once you cap out on your annual spending. Additionally, the Capital One® Quicksilver® Cash Rewards Credit Card doesn't have an annual fee like the $95 the Blue Cash Preferred® Card from American Express charges. 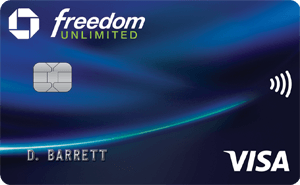 The Chase Freedom Unlimited® is somewhat of a sibling to the Capital One® Quicksilver® Cash Rewards Credit Card in terms of the rewards they both offer. Both allow cardholders to earn a flat rate of 1.5% cash back on all purchases and neither comes with an annual fee. Chase Freedom Unlimited®, however, ups the ante by offering new cardholders the opportunity to earn 3% cash back on up to $20,000 spent in the first year as a cardholder, then 1.5% cash back on everything. And all those points are combinable with other Chase Ultimate Rewards® points, so this could be the better card for you if you’re already collecting points with another Ultimate Rewards® product. The Capital One does, however, beat out Chase Freedom Unlimited® for those who travel abroad often by not charging foreign transaction fees. It's hard to find a consistently stronger flat-rate cash-back credit card with no annual fee than the Capital One® Quicksilver® Cash Rewards Credit Card. This is a decent choice for the credit card user who wants an everyday card and doesn't want to have to keep up with rotating categories or even tiered reward levels. Plus, the Capital One® Quicksilver® Cash Rewards Credit Card travels well with its lack of foreign transaction fees. Still, if your monthly credit card statement reads like the departures list at your favorite airport, you might prefer earning a higher rewards rate from a travel-oriented card like the Capital One® Venture® Rewards Credit Card.